One way or another a win-streak was coming to an end on Sunday. The Houston Texans came in riding a ridiculous eight game win streak (the longest in the league after the Saints lost on Thursday night). Meanwhile, the young Cleveland Browns had won back-to-back games for the first time since 2015. Something had to give. In the end it was the Browns. A miserable first half from Baker Mayfield allowed Houston to jump out to a massive lead early. By the break it had ballooned to 23-0. 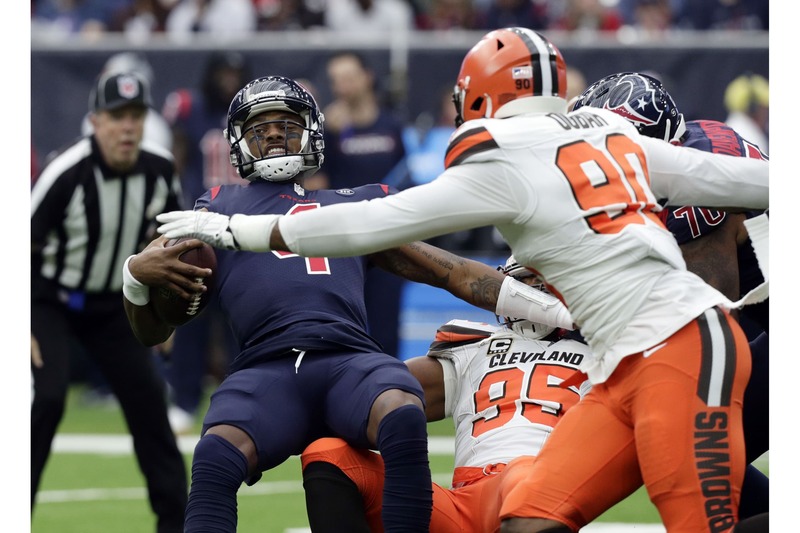 Mayfield and is Browns teammates did their best to rally late, but more turnover and several penalties made a comeback impossible as Cleveland fell 29-13. With a loss the Browns fell to 4-7-1 on the season and made the playoffs an extreme longshot. Under interim head coach Gregg Williams, the team is now 2-2, with four games to go to decide whether or not Williams should stay long-term. Mike McCarthy Fired in Green Bay – Will He Be the Next Head Coach of the Browns?